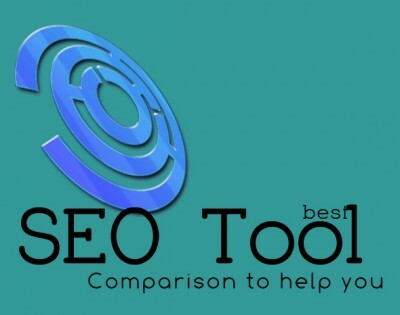 In the past I have written about variety of seo tools which I have used and encountered. Seo tools have become a necessity in current online world and any serious webmaster can’t expect to perform better without either of them. Today SEO tool doesn’t merely stand for tools which are used for collecting backlinks or finding broken links on your website or blog. They are used for variety of functions. Today focus is much higher on on-page optimization, keyword research, social media marketing and spying on competition. Ranking on search engines does not remain limited to higher density of keywords or higher number of backlinks. In fact, higher keyword density and backlinks may become counterproductive and may harm your website’s ranking. Preventing over-optimization is as important as optimizing your website. Therefore SEO tools are imperative. Now in this overcrowded market of seo tools, it is becoming increasingly difficult for webmasters to find an appropriate tools for them. When I say appropriate I mean a tool which is economical and provide adequate actionable information about your site. Webceo, Seoprofiler and Raven are one of the most established name in seo tool industry. WebMeUp is relatively new but I have tried them also, I can definitely vouch for them. Overall, they all are powerful seo tools and it depends upon your budget and requirements. If you are a webmaster with only one website or blog, then webmeup is the best option for you because it will get you most of these features at the most economical pricing. But there is a problem, they don’t offer keyword discovery in their cheapest package and it is big enough for me to say No for it. Everything else is fine, so if you are already using some keyword research tools like traffic travis or niche cracker, webmeup is the best seo tool for you. If you are not using any tool for keyword research then you can try webceo and seoprofiler & decide yourself. Both these tools are equally good. You can try seoprofiler in $1 and webceo for free. Both of them are powerful enough to empower any kind of websites and priced equally. Raven is a good tool but it is the most expensive one. You can do anything and everything with SEOProfiler and WebCEO also but at a lesser price. But yes, Raven could be a better option for SEO Professionals. You can try Raven for free, why not give it a try. Who knows, you may end up liking it more than others. It is subjective for individual users. Share your thoughts and concern.